I'm consuming only whole and fresh plants, fruits, legumes, seeds, and grains with very little or no animal products. Here's why. I’ve been researching diet and nutrition for a full year as part of my desire to enhance the Health element of my Wheel of Life. I believe that being your best self means managing the different themes in your life and that Sleep, Exercise, and Nutrition are foundational elements upon which every other theme is built upon. Despite listening to my body and following a fairly effortless but effective wellness regimen, I never put too much focus on what I ate until now. I avoided a lot of meat, junk food, and fast food, and leaned towards fruits, vegetables, and grains because they made me feel better. Though I admittedly overindulged in rich food and wine when traveling and on special occasions, I always knew how to course-correct. This was the extent of my diet, and it took sifting through a lot of confusing and conflicting information to conclude that this sort of lax, semi-healthy approach to eating only marginally reduced my risk of cancer and cardiovascular diseases. So I switched, cold-turkey, to a new approach after gathering my own data. The following outlines why and how. First, what exactly is a plant-based diet? A plant-based diet is one in which your food source is based on whole and fresh plants, fruits, legumes, seeds, and grains with very little or no animal products. I like this definition because it’s straightforward with none of the stigma that comes with popular terms like vegan and vegetarian. The popular terms may stress the elimination or reduction of animal products, but don’t necessarily encourage eating fruits and vegetables in their whole form or the restriction of refined, factory-produced foods. When it comes to your personal health as well as the health of the overall environment, the plant-based diet may be one of the best ways of eating you can adopt. Even though I felt pretty good in my mind and body, I knew there were areas of improvement. However, my motivation to change was mostly driven from witnessing so many loved ones struggle with and succumb to obesity, diabetes, heart disease, and cancer. What bothers me most about my personal observations and the staggering rates at which Americans — and other societies who adopt Western diets — are dying from these diseases, is the refusal to believe these are lifestyle diseases that are preventable and perhaps even reversible with the right diet. I have no other ulterior motive with my transition to a plant-based diet. I’ve never been one for following lifestyle fads and, admittedly, my altruism towards livestock animals wasn’t, until recently, pronounced enough to give up meat. My decision was based solely on the research. Scientific studies from reputable institutions provide overwhelming proof that meat (including fish and chicken), dairy, and processed foods contribute to cancer, heart disease, diabetes, and other top causes of death. These studies also show that eating more fresh, whole, plant foods provide significant protection against these same diseases by substantially decreasing your risk. Like any other person who doesn’t want to change or wants to justify their current beliefs, I tried to find fault in these studies. However, I couldn’t make sense of the millions in the U.S. and around the world dying from diseases that were rare and obscure just 70 years ago. The correlation between our increased consumption of certain foods and higher rates of these lifestyle diseases is just too obvious to ignore. My transition thus far has been surprisingly easy. That’s because I refuse to turn diet into doctrine. I want to be as healthy as I can be and hopefully become an example to loved ones who need it most. But I don’t intend on being a perfectionist or propagandist. My primary goal is to be mindful of what I eat so I decided to consume 80% whole plant foods and 20% seeds, nuts, and grains with guidance from this grocery list. If you are interested in learning more about or adopting the plant-based diet, here are a few resources. Enroll in Effortless Health, my simple but robust health and wellness program designed for busy individuals. Watch the What the Health documentary for an entertaining and enlightening overview of the meat and dairy industries, and their contribution to dangerous but avoidable lifestyle diseases. Read How Not to Die and The Beauty Detox Solution for an in-depth coverage of the plant-based diet, including specific tactics for transitioning. 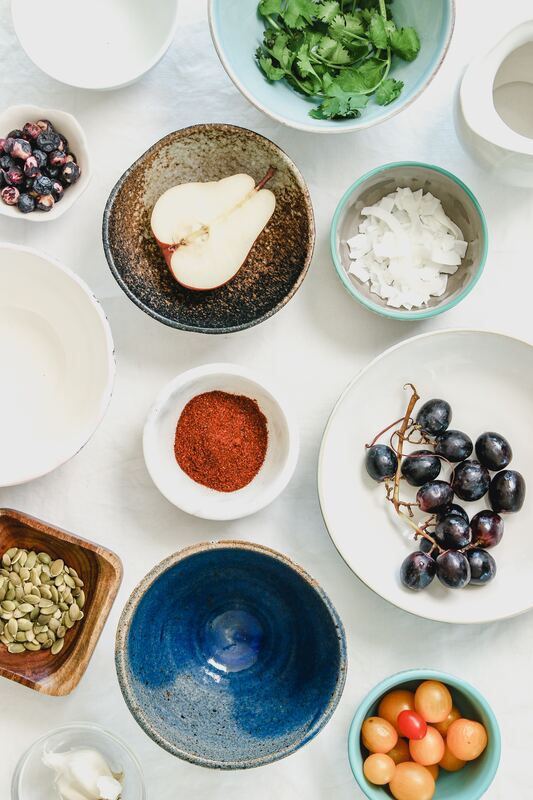 Browse Oh She Glows and The Minimalist Baker for delicious and easy-to-make healthy, plant-based recipes.